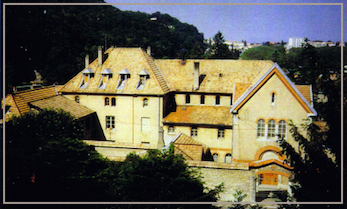 The Monastery of Poor Clares was founded in Rheims, France from San Damiano. 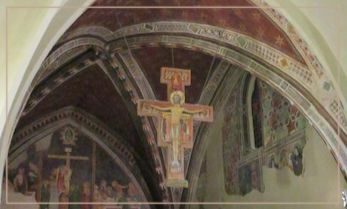 This was the first Poor Clare monastery outside Italy. The Archbishop William de Joinville met Holy Father St. Francis at the Fourth Lateran Council and asked for Sisters of the Second Order to come to his diocese. Since the Second Order was still in its initial development, it took awhile before Holy Mother St. Clare appointed Mary de Braye as leader of the a small expedition to France. The Bethlehem Monastery was founded by Holy Mother St. Colette at the request of the magistrates of Ghent, Belgium. The Sisters came from different French monasteries. After making other foundations, Holy Mother St. Colette returned to this monastery on December 6th, 1446 and died three months later on March 6th, 1446. The monastery of Ghent established the monastery of Tongren, Belgium in 1845. 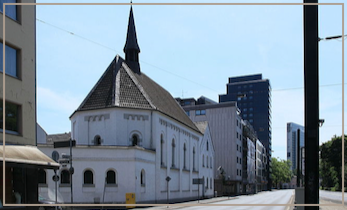 The monastery of Tongren established the monastery of Düsseldorf, Germany in 1859. The Cleveland, Ohio monastery was founded from the monastery of Düsseldorf, Germany. 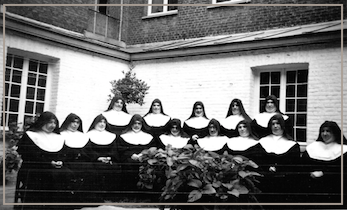 During the ‘Kulturkampf’ the Sisters received decrees of the ‘Kloster-gesetz’ May law proclamation in 1875 which forcibly expelled all religious except those working in hospitals. All the Sisters preferred banishment rather than returning to secular life. Father Maasman, O.F.M., governing the province during Father Gregory Janknecht’s absence, found refuge for them in Harreveld, Holland. Fr. Gregory Janknecht was in America arranging a house for five or six Sisters to come to Cleveland, OH. They arrived at the monastery on December 15, 1877. The voyage was a rough one. On the first night alone, 30 ships were lost in the stormy seas off the coast of England. Our monastery here in Rockford was established from the Cleveland, OH monastery. When Bishop Peter J. Muldoon was appointed bishop of the newly erected diocese in 1808, he contacted the Abbess of Cleveland asking her to send Sisters to his new vineyard. In 1916, this foundation was finally able to be made and June 29th is declared our foundation day. Each year we thank God for the graces we received and ask Him to continue to give us the grace to persevere to the end of time. 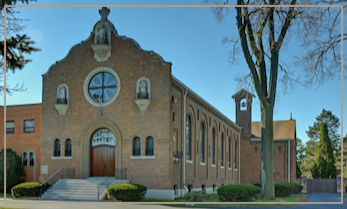 In 1995, eight sisters left Corpus Christi Monastery in Rockford to respond to the request for a foundation in the Diocese of Joliet. 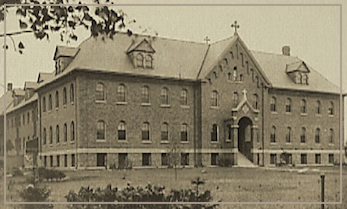 A suitable property was acquired in Minooka but it took three years for the establishment of the new monastery to be completed. 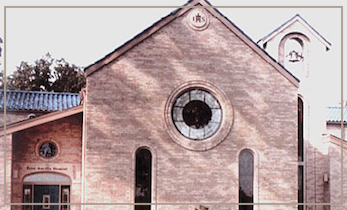 Annunciation Monastery was solemnly dedicated on October 15, 1998 and placed under the patronage of Our Lady of the Annunciation. On that day Papal Enclosure was also established.